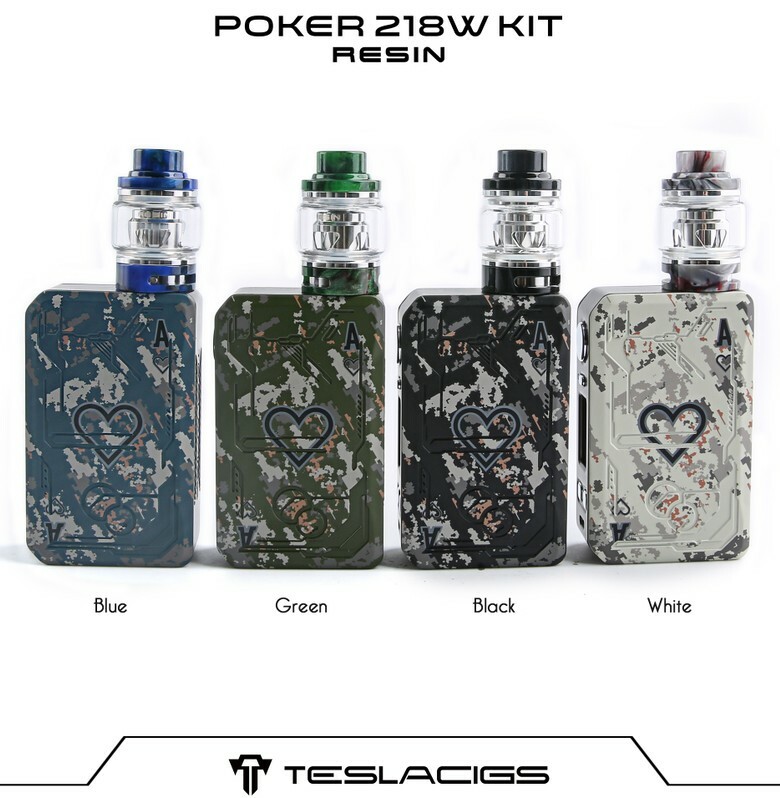 Teslacigs Poker 218 Kit is a 2019 new arrival vape box mod kit! 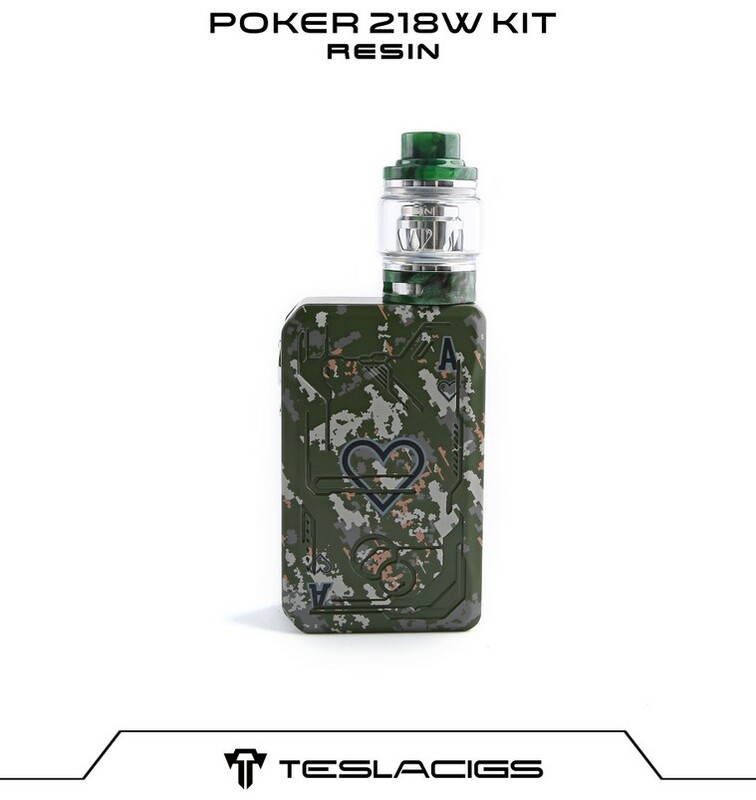 The mod is made of Zinc Alloy, and can comes with Resin Tank which made of Stainless Resin+Brass. 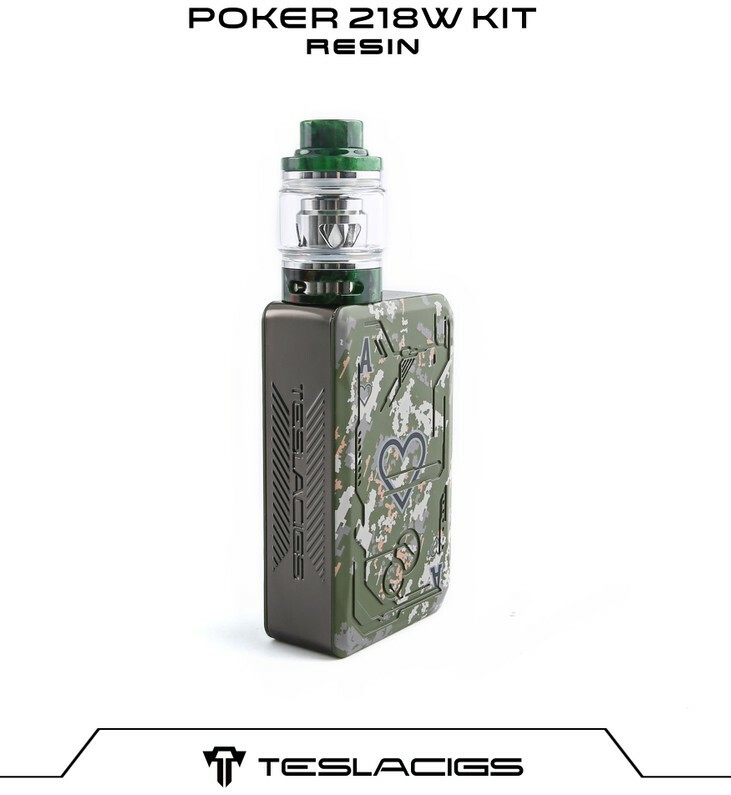 The weight of mod is 200g. 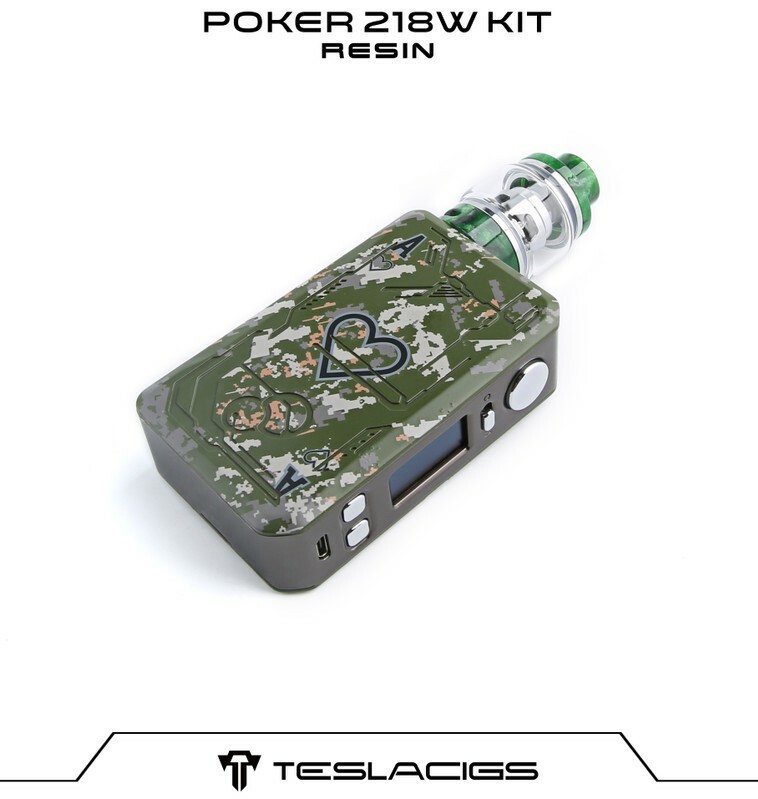 Powered by two 18650 batteries. Its appearance is beautiful and special, it is according poker cards to design, and with graffiti on it. 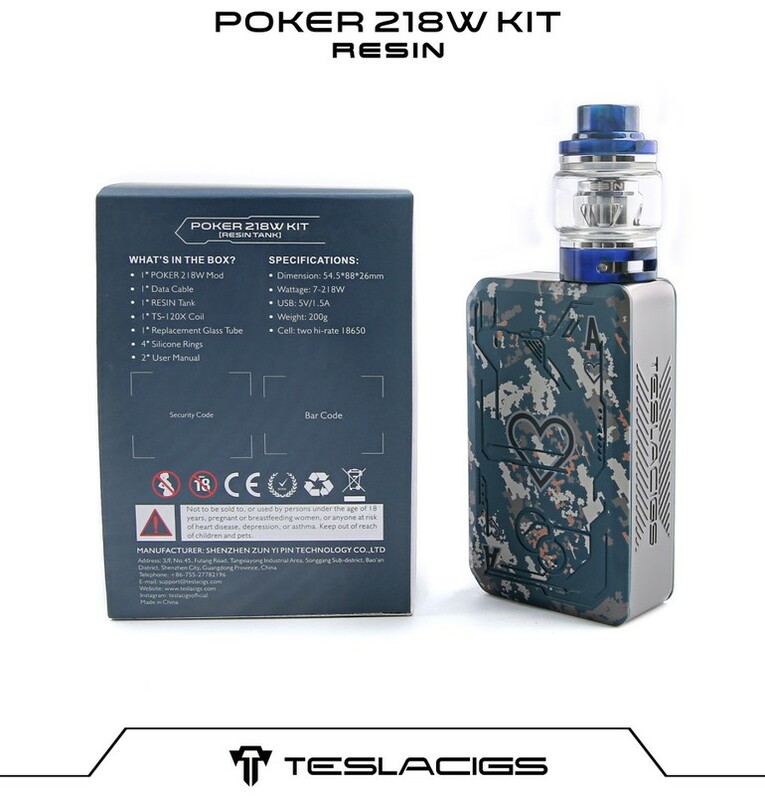 With regulated wattage 7-218W. 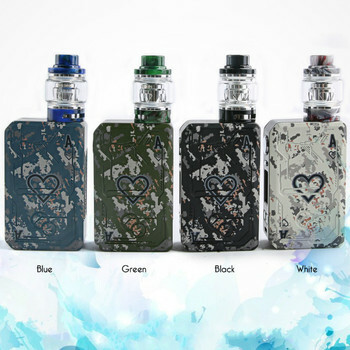 Four colors are availble, it will a nice and new kit for you!